BayesiaLab contains all “parameters” describing probabilistic relationships between variables in conditional probability tables (CPT), which means that no functional forms are utilized. Given this nonparametric, discrete approach, BayesiaLab can conveniently handle nonlinear relationships between variables. However, this CPT-based representation requires a preparation step for dealing with continuous variables, namely discretization. This consists in defining—manually or automatically—a discrete representation of all continuous values. 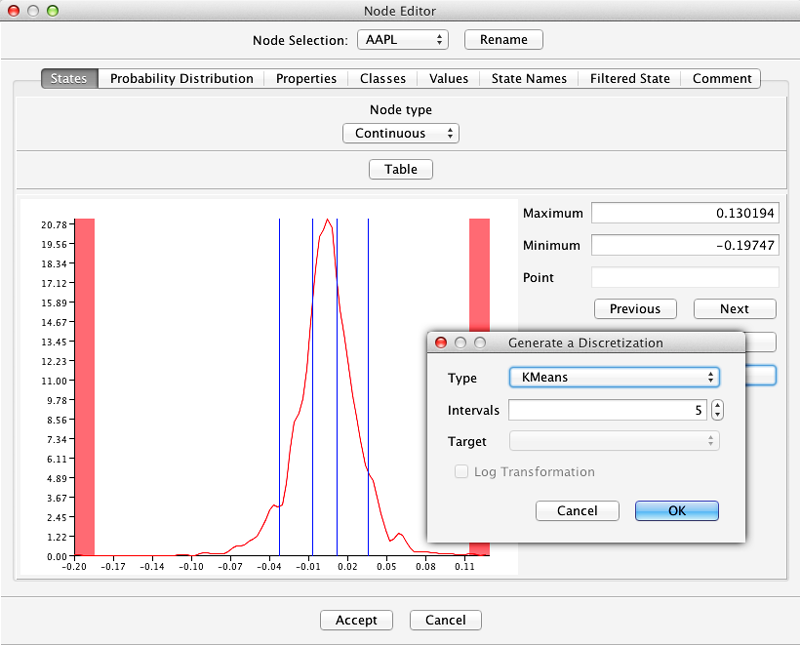 BayesiaLab offers several tools for discretization, which are accessible in the Data Import Wizard, in the Node Editor, and in a standalone Discretization function. In this context, univariate, bivariate, and multivariate discretization algorithms are available.